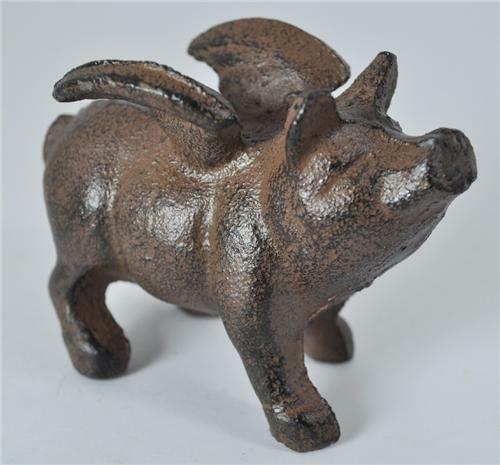 From our Winter Clearance Inventory is this adorable small version of our larger Cast Iron Flying Pig! Remember: This Flying Pig Comes to You with Free Shipping! IMPORTANT SHIPPING NOTE: This will ship USPS Priority Mail and Free! !....for faster delivery to you! Our Free Shipping cost includes Tracking Numbers so you may track your purchase.